Cons: -The app for the smartphone offers a login feature that doesn't seem to be necessary. Clients are able to open the app and just enter their 6 digit code without having to login first. This confuses some clients. -The syncing between our system and theirs doesn't always update properly. i.e. if an appointment was marked out in our system. During the next cycle, the old appointment will populate into Mend as though it still needs to take place. -The reporting tools could be updated to review certain pieces of information to help our practice run more efficiently. 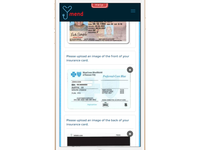 Overall: -Mend overall is a very convenient app with great potential. I'm excited to see Mend continue to progress as our company expands. Thank you for this great feedback. The portal login link within the app is being removed in the next release this month. We're happy to explore more robust integration options to keep the two systems in better synchronization. There are limitations on the EHR side that we are having to work around currently. Pros: Mend is very easy to use and it has an amazing customer service. I have ask questions and ask for the Mend team to help me and they have always been quick to respond and help me with whatever issue I might have. Cons: I wish there was a way for the clients to be prompt to make their own payments, by inputting their credit or debit cards themselves and if the card is declined then they couldn't proceed to their appointment. However I understand that the Mend team works everyday to improved their software. Overall: AS I mention before I really love the customer service, I had brought an issue before to them and within days it was resolve making my experience better than before. Thank you for the review, we really appreciate it. We can collect the payment during the appointment booking process. We will follow up to gather your feedback and discuss possible options. 2/14/19 - We talked to Linnette and we had the ability to solve the payment problem with our digital forms and come up with a much better workflow to solve the payment issue. My job just got way too easy. Pros: I LOVE that my administrative time has been cut down. Because I save so much time with Mend, I have more time to call my patients, see more patients, and process them faster. At the end of the day, medicine is a business, so time is money. Now I can actually do more of what matters; help my patients... and help the business. The Mend customer service team is amazing. I always get an immediate response, and a quick resolution to my question. If there is a complicated issue, they stay in contact with me via email through every step. I never feel forgotten about, or like my questions are pointless. They seem to appreciate the feedback, and work hard to keep us happy. Cons: There are still a few issues we are working out, but customer service is always quick to resolve them when they come up. Overall: I am able to process everything faster, especially getting signatures from the doctors and patients. I don't have to spend hours uploading paper into my computer- with Mend, its already there. Pros: I get to create my own schedule, it is cool to talk to clients via webcam, I like that clients can sign forms through it. I like the paint and texting feature. Cons: It is very slow to schedule appointments and process assessments. Once you select submit or book it takes longer than other websites to load. I do not like how you have to wait after each session scheduled for it to load and go back to the dashboard and then you can click to schedule another appointment. When you upload an assessment it would be cool it if were not two steps, if you could just upload the assessment such as treatment plan when you first assign the assessment rather than having to go back to the dashboard and upload it onto the designated assessment for the specific client. It would be good if it works better with smaller band with or slower internet. Sometimes it makes me log in twice even with correct password, sometimes it starts running my camera when I am not in a session and have not selected to start a session. There are a lot of clients with double names in the system which is frustrating because I have to make sure and select the accurate one, not the one with the fake e-mail. Sometimes people are unable to sign the forms on their cellphones even though we are told they do not have to download it, I have watched them attempt while I am on the call and it does not allow them to click submit or sign.It would be cool if there could be more interactive games the therapist and client could play through Mend together during session. Thanks for the feedback, it's great! Using the Rebook or Assessment feature from the Actions menu should make setting up appointments and assigning paperwork simpler. Did you know you can set recurring appointments as well? All of the issues described with the video connection should be fully resolved for you now. If you have any further issues, please let us know and we're happy to help. Pros: It is easy to use for most patients. It works well and allows our clinicians to see both the patient and their chart at the same time. Additionally our staff is able to trouble shoot any in house problems or issues pretty easily. The schedule works well and is easy to use. Cons: It does not work on every platform and it is hard to tell which platforms it does and doesn't work on. Many of the patients we would like to target for this program do not have the technology to use this service. Mend works on any device - desktop, laptop, tablet, mobile and every platform - Windows, Android, Apple, and any other device with an Internet connection. Video works on any device as well that has Chrome, Firefox, IE, Android, or iOS covering 98-99% of the market. Microsoft and Apple are committed to supporting video as well in Edge and Safari. Pros: The thing I love most about this product is how easy it is for clients to use to connect with me for sessions. It runs really well. Cons: You do need to have a strong internet connection for it work really well. This can be pretty frustrating when you don't or strong internet is not available in certain areas of the country. Overall: My overall experience with Mend has been great! I am able to see clients from all over the country. No matter if I am traveling or at a different office, I am able to have full therapy sessions. Thank you for the review, we appreciate it! We have major performance improvements to video releasing the first week of the new year (Jan. '19). Video will require even less bandwidth and we'll have better support for group video sessions. There will also be a new design to make it even easier to use. Pros: Easy to use, pretty good picture and sound quality. Cons: Can't do throat exams, light just shines back into the camera. Some people have difficulty getting it set up or using their cameras. Overall: Works pretty well overall. Some patient have trouble if they need to show something and flip their camera around. Awesome feedback, thank you! In order to do throat exams you might need something like a Firefly Otoscope. Patients may not always have this available to them. Some smartphones can handle this. The Mend system does adjust automatically on both Android and iOS for closeups. However, relying on the patient to angle the camera and lighting just right could be an issue. Regardless, we will investigate further to see if there is anything we can do here. If we make further changes, we will follow up and let you know. Pros: I like the ease of scheduling and sending information to clients. I can see quickly who is having trouble attending appointments and integrating that with my own billing management. Cons: Some of my clients still have some trouble understanding the software, and I've had to spend some time explaining it to them instead of being able to look it up themselves. Overall: I used Mend to work with my clients in scheduling appointments and managing my own billing. It was great for simpler messaging, but a little more difficult when insurance arrangements were complicated. Overall it was a good experience. If you direct your patients to our Help button, we respond within 20 seconds and we can help your patients with their first use so you don't have to spend time on that. Also, if you're using our digital forms, why not have a training form to set expectations? You could inform them of policies, include FAQs, discuss any technology, etc. Pros: There is nothing much to like. The system and terribly slow and there are a lot of errors that we keep having that the IT team is not fixing or attempts to fix but never solves the issue completely. Cons: 1. Runs extremely slow no matter what wifi connection I am using, or what I am trying to do in the system. Everything is so slow. Most definitely a system error not a connection error. 2. Many features do not work properly. Example: Rebooking option does not rebook patients for the correct time slot. Another example is when I added a credit card to a new patient that I added to the system and scheduled, then I went to check out a completely different patient and the new credit card I entered was linked to the established patients account. Overall: Terrible. Worst system I have ever used. Very frustrating to work with the mend team and the software. Extremely slow and slows down my whole day having to wait for the system to load. Thank you for your feedback. We will follow up and see if we can make further adjustments to assist. It is worth noting that during your implementation your scheduling product went out of business. We do not offer Mend as a practice management scheduling system. This review describes an off label use of our product where all the pros and cons were discussed in advance. The way the product is used in this scenario is not something that we actually market and sell. As well during this interaction it is very hard to tell what is a block or what is an actual appt. Overall: Overall it has been helpful to see clients who are unable to be seen in persons. Great feedback, appreciate it. Your implementation has a bi-directional interface. You can drop the appointment in Mend or AMD and it shows up in the other system in real-time. We'll follow up and address your concerns. Pros: Although I am not a provider offering services through MEND, I use it often to send registration paperwork to patients. I have experienced a training with MEND and the customer support was excellent and easy to follow. Anytime you have a question, someone responds very quickly. What I like most about the software is how easy it is to navigate and input data. Cons: I'm being completely honest when I say that I don't have any issues with using MEND for the things I do. The only thing that took a few tries for me to remember was setting up a child under age 18; I had to remind myself to also obtain all parent/guardian information too, such as date of birth. Everything has been smooth sailing other than that. Overall: I have been able to cut down patient check in time when checking into their first appointment. They don't have to sit and fill out paperwork before seeing the provider and can do it all on their smart phones in the comfort of their homes. This has also cut down on patients checking in late to their appointments. Overall, I think it has been a great use for our intake team and from what I hear, the providers find if very easy to use as well. 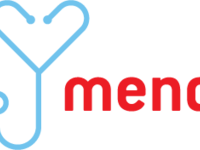 Great first experience with telemedicine through Mend --wish I could interest more patients. Pros: It's great that I can use it on computer, tablet and/or iphone. I've used all different modalities and usually find iphone or tablet works great though I do need the computer for complete functionality. The experience is the closest to a life-like face to face call -- there's no time delay and the image is quite stable for the most part. If I use my iphone my patients tell me they see me looking directly at them. I love the fact that when my patients travel or when there are snow days I can still "see" them. Overall Mend has been a great addition to our office. Pros: The customer service with Mend is the best. They are available all the time. I never have to log a problem someone is ready to assist as soon as you call or hit the HELP button. Cons: We have trouble connecting to patients when they are not on wifi. We lose out on at least 1/2 of our visits b/c patients are not connecting on wifi and their cell service is not strong enough to conduct the visit. The best way to make sure the patient side is flawless is to reinforce that they test prior to each visit. If you can make them test, the patient side always run smooth. Our uptime and video connection rates remain extremely high at almost 100%. Patients can use the help button where our average response time is currently at 19 seconds if they ever have any issues connecting. Pros: Video platform is easy to use, customer service typically provides a quick response. Cons: Some tasks take multiple steps and wish they could be incorporated to speed the process. Overall: This is the better of the two programs I've used, with a lot of options, and the Mend team working to make it a user friendly experience. Great experience. Mend services are clearly on strategically important and constructive directions. Great system, easy to use for patients and providers. Pros: I am the scheduler, not a provider, but this system is so easy to use on my end. The couple times I have had a question or had a new situation I hadn't seen arise I was able to send a help request and was almost immediately connected to a tech and issue resolved extremely quickly. Cons: The one thing I wish could be different is having mom, dad, and children all together. As it is, the child can be under either dad or mom, it would be great to have them together and be accessible by either parent. Overall: Great asset to our patients! Pros: It does save time. Allows patients less waiting time. Cons: The set up process seemed difficult. It took our office some time to get it set up. Appreciate the feedback. We do everything possible to make implementation as smooth as possible. We have dedicated account managers, live training, instant support, and more. Your account manager will design workflows for your new digital environment along with detailed project timelines and deliverables. Most other products let you sign up and leave it on you to master everything. Not at Mend, we're here every step of the way to provide assistance so that you are successful. Pros: I like the ability to use the service with both the website and the mobile app. Customer service has a chat feature which is very helpful and timely. Cons: Sometimes it is not as clear or regular face time. It tends to get choppy but that could be based on the users internet connection. Overall: I use mend to talk directly to clients for therapy outside of my normal business area. Pros: Mend is a great software for every office to use. 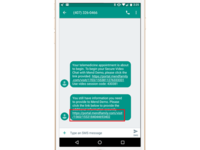 The efficiency of the overall software to allow messages to get from patients to providers without having to come into the office is amazing! Cons: How many steps it takes to actually get the mend visit into the chart. They have tried fixing send to EMR but it is not a quick process. Pros: The easy format and step-by-step features. Cons: The pop-up glitches that occur from time to time and the slow delays in between clicks. Overall: Mend takes forever to coincide with our scheduling program and sometimes does not transfer scheduled appointments. Thanks for the feedback!! Great news, AdvancedMD has allowed us to utilize their APIs. This means that the data will flow effortlessly between the two systems. Most of the time, integration hurdles are a result of limitations on the side of the EHR or PM and what they have available or if they have anything available. Cons: That if you don't attached the payment to the appointment you have to do a lot of research to find out who the payment belongs to. Overall: I love that you can make a suggestion and majority of the time Mend is able to fix it and make it better. Pros: Not being a technical savvy person. I found the Mend training program to be easy to learn. They were always there to help. Cons: In the beginning we had difficulty communicating with the right person. This was quickly corrected with a conference call between my staff and Mend. Overall: I retired from my consult practice but wanted to continue on a limited basis. I moved out of state. Mend has made it possible to continue what I love. Helping patients. It's fast and reliable. It's easy to use and has good quality. Pros: Saves time and helps see more patients.it helps client connect when they are away. It saves time for patients and administrators.its reliable and fast.clients state that it's easy to use and like it.the company has worked with it for a few months and we all love it. Pros: It is easy to use and straight to the point. Cons: Mend is very sensitive when it comes to connectivity. The calls are interrupted by even small dips in signal. Video performance was revamped and you should no longer experience connectivity issues. Pros: I like having the convenience of be able to schedule appts for providers instead of having patients go into the hospital. Cons: sometimes it glitches and patients find it most difficult being a first time user. Amazing feedback, thank you! We always encourage patients to test prior to their first visit and we track that on the dashboard. 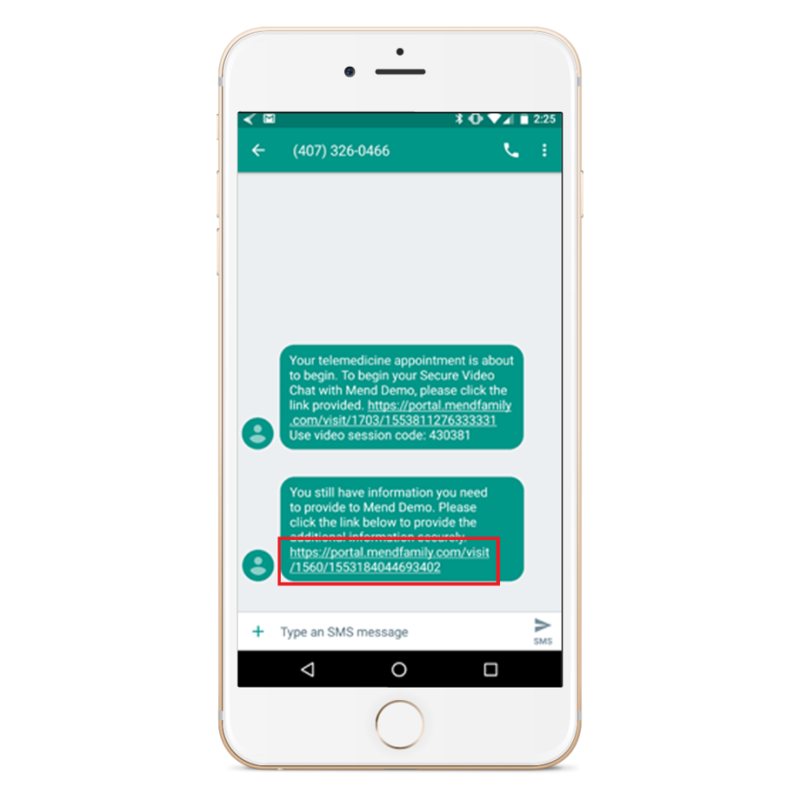 We have instant support available within 30 seconds if they have any issues testing, connecting, or if you need help during the visit. With all of that, some patients might have a learning curve on their first visit and we're happy to help them. When patients experience our instant support and the convenience of telemedicine, they are usually hooked and become raving fans. 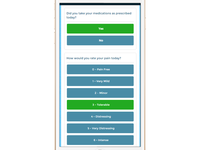 Pros: We are able to add surveys for our patients to take which has been tremendously helpful in our assessment process. Getting the scores for the surveys is also tremendously easy. Cons: I don't have anything negative to say. Overall: Really impressed. I will recommend this to all colleagues. Everything has been so incredibly easy to access all of our patients who fill out the paperwork complement on the ease of the system. Pros: The ease of usage was very good. We don't have any complain with our centers about Mend. Cons: I don't think theirs anything bad I can say about this product. Pros: once you get the hang of scheduling its pretty easily! Overall: It's been Very well once we get the bugs worked out. If you work with it everyday its pretty easily and fun! Awesome feedback! A communication platform is slightly different for kids. Government regulations under COPPA and other laws like the federal E-sign Act mean that parents need to control a child's account. In an EHR, the patient never has access so you can load anyone of any age anytime. When you have documents and appointments being pushed out to patients, minors have to be handled a little differently. Fortunately, we're well versed in those areas and help customers navigate all the laws to setup a successful patient engagement strategy. The program is very user friendly and extremely easy to navigate through. Pros: Very easy executing tasks, automatic reminders sent to patients and sessions never time out. Customer Support is always available to troubleshoot any problems or issues that occur. Cons: The only thing that I could say that I like least about the software is that it wasn't available sooner. Pros: The ease of scheduling and the navigation it very user friendly. Cons: the time it takes for a problem to be solved. Overall: I really like the software, it has been really easy to navigate and I enjoy scheduling appointments in the software. Very intuitive! Excellent tool for working with clients and dependents. Pros: One stop "shopping" to get the telehealth work completed without any hassles and great customer support. Clients like it - for their privacy! When I have to reschedule (especially through the hurricane and aftermath), it can be done immediately! Cons: Some features (like the calendar) are sometimes blocked out by the system (this is annoying but not a show-stopper for clinicians). Good tool for effective time management! Overall: Convenient and very helpful staff! Amanda and Matt have been really supportive! We will follow up and see what you're experiencing with the calendar and address it immediately. Pros: My doctor is at my finger tips, my patients can schedule on weekends. Forms are so much easier to workwith. Cons: Alerts could be a bit more better. Texting multi phones or email. Nothing else all is awesome!!!!!!! Pros: I liked that it was easy and convenient! Cons: There wasn't anything I didn't like about it! 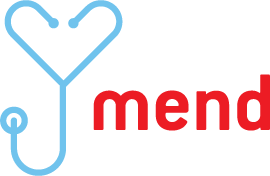 Overall: My overall experience with Mend is great, it helps process client information in a fast way so that it doesn't hold up our front desk. Wonderful instructor, Jessica. Kind and very astute to my questions. A true expert! Pros: The user interface has been well thought out for consumers who are not tech savvy! Our patient population in Weatern NC can be a bit older than average so this is a major plus!! I am also very hopeful that this will make a difference as we roll out annex offices into tiny communities in Appalachia where there are no psychologists / psychiatrists in the area. Cons: I feel like I need two sessions of set up advice and basic overall usage. My notes from one session were not enough for me to feel completely competent in using the system. Overall: The ability to grow our practice into a range of different medical fields by piggy backing off of exhisting practices and then offering telehealth sessions for their dual diagnosis patients who need our services for the best possible outcome. Each of our providers are also able to supplement their income on their own time as they wish to see patients remotely. We now have additional training materials we can provide right in the Mend system. It can also be used to assign training to future staff down the road. Mend has been a huge help to us. Pros: I love that I can fill out documents in seconds, rather than minutes. The forms are returned quickly to me when finished by other signers. It is very clear to see what has been sent out, what is waiting to be completed, and what I can review. Cons: Some patients complain that it is difficult to understand what their role is on the form. I don't like that the format that the documents print in. Overall: My paper work processing time has been cut down by hours a day. I am able to keep better track of my patient documents as well as what is processing. We will fix both of the feedback issues identified. Pros: I like that it has a secure login and it is fairly easy to access on your phone. Cons: I don't like that I can't get calendar view on my smart phone to see my appointments and that it is difficult as a provider to block off time on the smart phone app vs computer version. Excellent feedback. We are currently working with multiple users from your organization to better understand your scheduling needs. Your use case utilizes Mend as the master schedule. Most groups use their practice management system as the master schedule and send over appointments to Mend via an integration. Since your use case is not the norm for our customers, we have a little work to do to make things even easier. Even though this use case is not the norm, we want everyone on the platform to have an amazing experience and changes are coming for you within the next 1-2 months. My experience with Mend has been great! Pros: I love that the Help Desk is so quick in responding to my questions. I can get help in the middle of a session if needed and it doesn't take up a lot of time. Plus, the ease of access to clients who are in other counties or are home-bound is wonderful! The majority of my clients really love the convenience of using Mend. Cons: I can't schedule recurring appointments for my clients. I would like to see Mend add a feature where clients receive individual access codes for each recurring appointment. Overall: Mend benefits me in that it is convenient to use for both me and my clients. Some of them don't have access to mental health care in their area, so being able to log onto their phone or computer and talk to a professional is very helpful for them (so they say). The team is very helpful, professional, and quick to respond to any of my needs or to the needs of my clients. I also LOVE that my clients can sign their documents electronically, which saves a ton of extra time and work on my part! Cons: I have not found anything I don't like about the software. Pros: Convenient for providers and patients especially when dependents want to come in without a guardian. Cons: It can be confusing. Parents sometimes don't fill out all the forms we send and they can easily mix up paperwork between dependents . 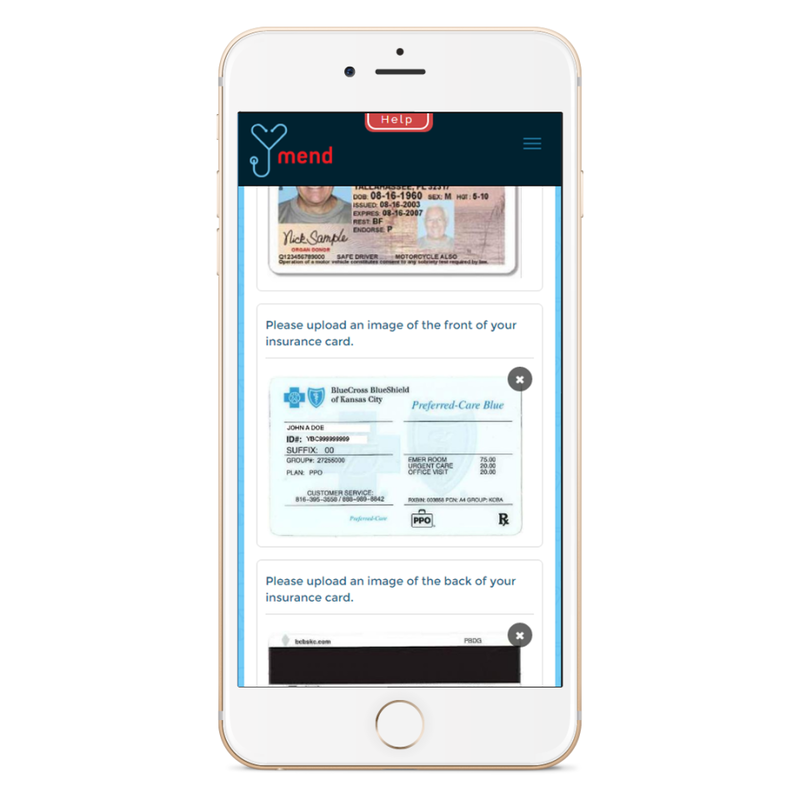 They will fill out all the questions of Sibling A's paperwork for Sibling B and vice versa, because mend pre-assigns it to each patient. Thanks for the feedback, we appreciate it! I wonder if a link for the paperwork would help? It would allow them to set up their children and then take them right through the paperwork child by child. Convenient way to reach your client. Pros: The software allows central point for sessions and billing. It provides the ability to secure intake documentation and signatures for MTP's and TPR's. It also allows for easy billing. It allows clients/therapist to connect via cell phone, tablets, lap/desktops. Cons: Software requires strong internet/WIFIconnection. It is easily interrupted by incoming texts and call. Thank you for the feedback. Some wireless carriers do not allow phone calls and data to run simultaneously. We also just released new video changes that allow for better connections on lower cellular connections. Pros: I like the ability to communicate with people who do not live locally to you. Cons: Sometimes technology glitches and that makes the process frustrating. Overall: We have benefited from mend by using it to have teleproviders who are different time zones but still able to provide care to our patients. Thank you for the feedback, we appreciate it. We just released an upgraded video experience. It works on even slower speeds so when patients aren't on the best connections, you won't have as many glitches. If there are ever any issues, our instant support is available. Average response times are often less than 20 seconds. Pros: It is user friendly. Easy to use for those who are not tech saavy. Cons: I think there are some hiccups to adding our own forms that need e-signatures from clients. I'm not sure if I'm accurate on my assumption. We also don't have a way to transfer data from MEND to our EHR. Overall: We haven't started using it enough for telecounseling and we haven't reached its potential. I find it to be easy to demonstrate. We just have to get more clientele interested in trying it out. Thanks for the feedback. We have new options available now to connect your EHR. If that is something you're interested in, we're happy to make that happen for you. Pros: The only thing I like is I work from my home...The software has to improve a lot from behavioral therapy. Cons: The platform has to establish interactive tools for behavioral therapy. The canvas system in use doesn't function. The frequents issues with in and out from system during a session are horrible, the link is not stable for work an hour, no matter the browser in use "supposedly" chrome is the better, that is not true. Your Internet is consistently reporting extremely low speeds. I'm sure you're paying for more that your Internet Service Provider is giving you. This can be caused by your ISPs equipment, line noise, or other factors. We will follow up to resolve this for you. We just need a to run 1 or 2 tests and we can resolve this ASAP for you. Appreciate the great feedback! Sometimes patients don't have the best Internet connections. However, we just released video performance improvements to allow video to work on even slower speeds. Speeds as low as 150Kbps. That should resolve most of the issues. It's also important to encourage patients to test prior to their visits. We remind them to do this several times as well. Finally, put our instant support to the test. We'll respond in seconds to assist to make that video happen or resolve any connections issues. Pros: Mostly the overall ease of use for both patient and provider/staff. Cons: occasionally the poor internet connection. But that is not a Mend issue. User friendly. When I needed assistance, staff helped right away! Pros: The software is easy to use; very user friendly. If I have had any issues they have all been resolved easily/timely. Cons: Every once in awhile the sound on the microphone will echo and sound like the other person is under water. This happens in and out frequently. The echo is due to either slow hardware or poor Internet quality. The Mend tests can predict this in advance. We can also test the hardware and predict in advance if it will have any issues or not. Old inexpensive hardware can have trouble processing the video, but all can be tested in advance to ensure quality. 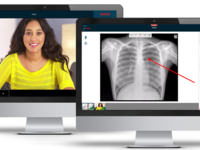 Mend is a very user friendly software that provides secure telehealth options. Pros: We use the software on a weekly basis and it has been very effective. We love that the visits are time managed and that the video quality is good. We have had no issues with logging on or connecting in the 8 months of using the software. Cons: The access code entry is not a feature that our facility needs as we have a secure location to provide service. Overall: Increased ability for provider visits from a far. Remote kiosk is an option that is available to eliminate the need for an access code, but still be HIPAA compliant.